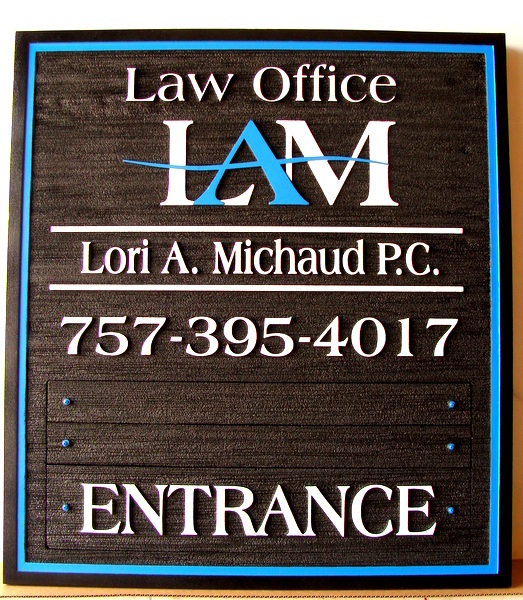 This white, blue and black painted 2.5- D cedar attorney sign has raised text, art and border and a sandblasted background. The logo, made up of initials, adds interest and uniqueness to this sign.This attorney office entrance sign projects professionalism and dignity. Note that the three bottom panels can be replaced with other text.